Journey to the Past is 4!!!! 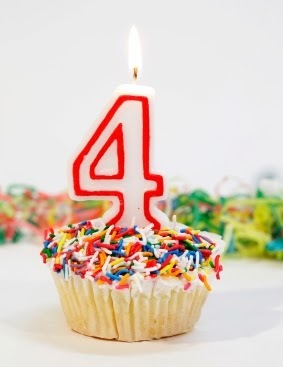 I have been blogging for four years today. 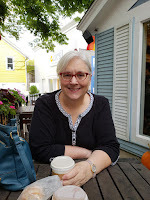 I wasn't sure I would blog for four months, let alone four years. Blogging for the past four years has given me far more than what I have given others, I believe. I have made numerous contacts through blogging. I have geneafriends, aka other bloggers, that I can go to if I have questions, or need advice, or just need a pep talk. I have a support group that is beyond compare. I have been contacted by numerous family researchers, some related, some not. I enjoy this aspect of blogging the most. "Cousins" have shared stories and pictures of our related ancestors and I have reciprocated, whenever possible. Researchers have contacted me with questions and I enjoy interacting and responding with these researchers. My Michigan research posts have been quite popular and I hear from others telling me how it helped them in their research. I enjoy helping others. This past year showed a slight rise in the number of posts I wrote compared to 2012. I am still not back to my levels in my second year, but I hope to get back on track in 2014. I haven't run out of ideas, yet , and to think I was worried that I would run out of ideas when I first started blogging. Thank you to all those who follow, read, and promote my blog. Thanks to my readers who take the time to leave a comment or send an email. The feedback is greatly appreciated and motivates me to blog more. In closing, I will leave you with a list of the top five all time blog posts based on page views.